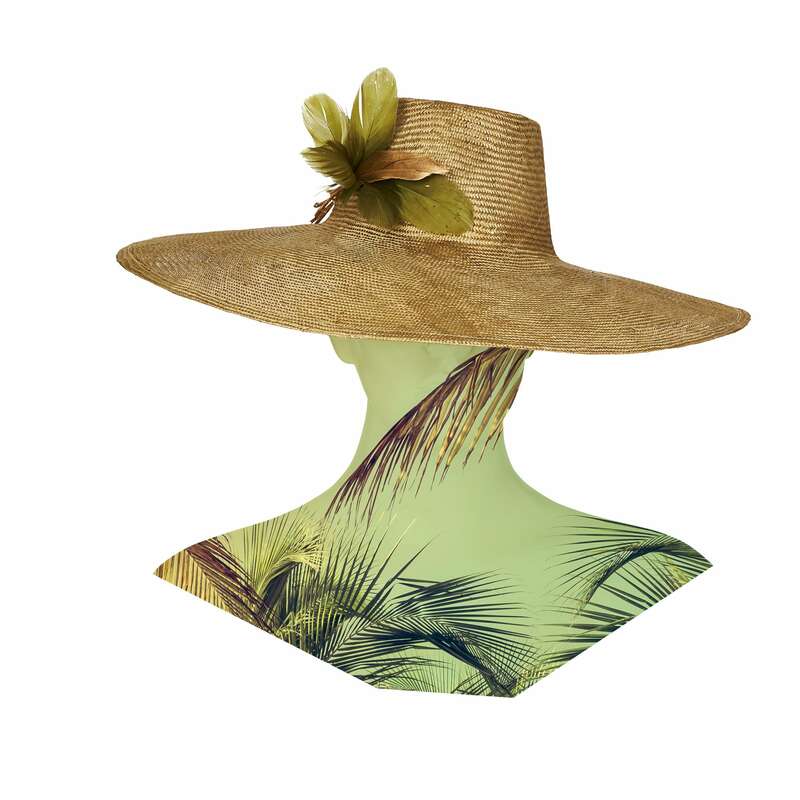 Classic sunhat in hand coloured straw with nagoire feather flower trim. Classic sunhat in hand coloured straw with nagoire feather flower trim. Available in pink and khaki.